Ms. Helen Nixon Bethea was born on December 9, 1926 to the late Oscar and Rosa McDuffie Nixon. On Sunday March 31, 2019 as she peacefully slept, she heard the voice of Jesus and accepted his call at Kitty Askins Hospice in Goldsboro, NC. Helen received her education in the Columbus County School system. Gainfully employed with Columbus County School system and Columbus County Courthouse where she worked many years before retiring. Helen’s hobbies included fishing, playing spades and talking to people with a good hearty laughter. Helen was a faithful member of Mt. Horeb AME Church serving as a stewardess, trustee, class leader, choir member, and anywhere a helping hand was needed. 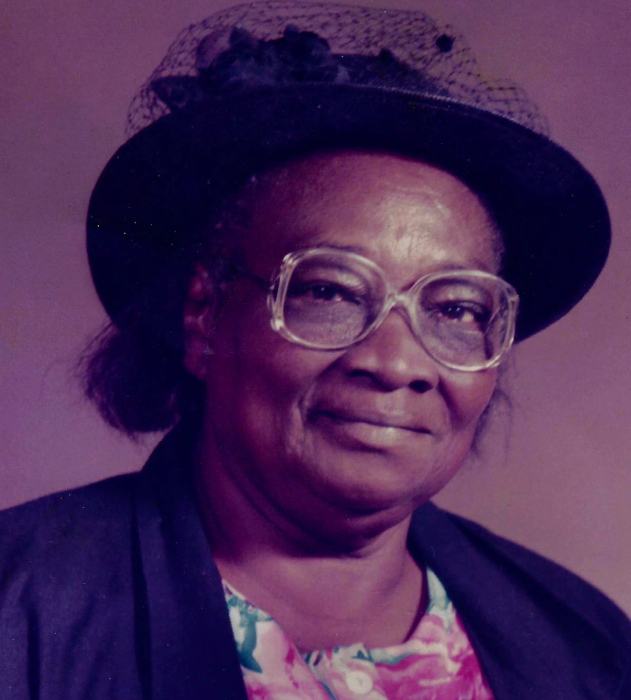 Helen was also a member of the United Order Salem Lodge, and along with her late mother Rosa Nixon started the Christmas Savings Club for the community. Preceding Helen in death is her husband, John T. Bethea, son, James E. Nixon, brothers, Artis and Len Nixon, sister, Jessie Nixon Barfield, niece, Dorothy Evans, nephew, Herman Walls and grandson, Eric Powell, cousin Edith Tart, and a sister-in-law, Millie Mckinnon. She leaves to cherish her fond memories, adopted daughters, Jessica Evans of Goldsboro, NC; Vickie Machen of Chibolo, TX; and Martha Flowers of Whiteville, NC; six grandchildren, Joe Cagle of Dunn, NC; Barbara Nixon of Evergreen, NC; Debra Jackson of Whiteville, NC; Karra Powell of Greensboro, NC; Marcus Powell (Christoria) Lumberton, NC; and Shonte Powell of Lumberton, NC; ten great-grandchildren, Shanna Parker, Laketa Stephens Keel, Tionna Powell, Marquez Powell, Alyson Stephens, Hyquan Atkinson, Asia Powell, Shantasia Powell, Nadia Woodberry, and Malia Powell, two special nieces, Laura Stephens of Evergreen, NC; and Doris Williams of Whiteville, NC; a host of nieces and nephews, three special nephews, John Mormon (Lynn) of Lakeview, SC; Demetrius Gainey (Joyce) of Lumberton, NC; and James Evans of Evergreen, NC, two-sister-in-laws, Gracie Nixon of Durham, NC; and Ruth Nixon of Washington, DC; one daughter-in-law, Linda Nixon of Evergreen, NC; close friends, Lavender Bethea, James McCormick, Bertha Lennon, Terry Huggins, Derrick Pittman, and Katie Mae Bethea, a host of nieces, nephews, love ones and friends whom she loved dearly.